There you were. YOU! Logging awesome and gorgeous morning miles! Pushing through struggles, and celebrating achievements. You were done while I was still sleeping. Talk about inspiration to get me up and out the door! I jumped up with a new-found vigor and climbed into my running clothes. THANK YOU!!! 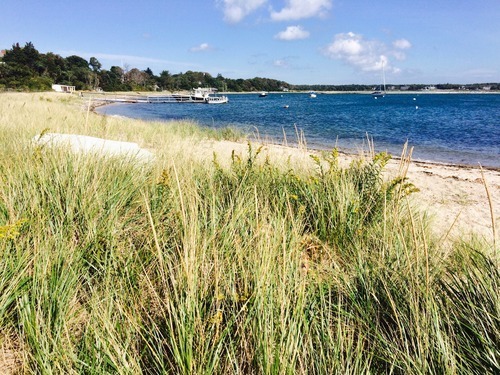 I left from home and ran to the beaches in Cotuit. I wanted to – and did – stop every couple of miles. I drank my whole handheld and filled it again at a local market. 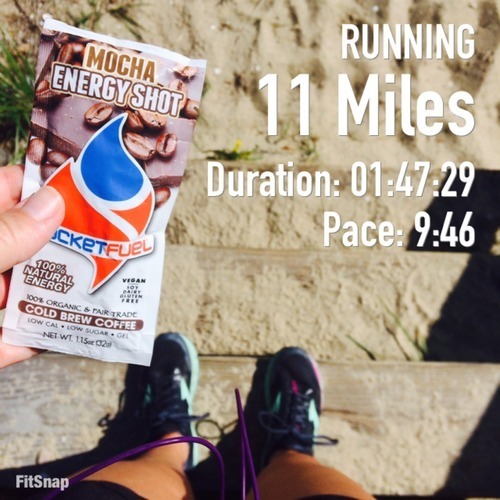 I downed one of my favorite sources of nutrition, a PocketFuel Naturals, at Mile 5.5. Since I ran out and back, there was no way of cutting these miles short – and today that helped. It was a hot and tiring run, but how cool to keep building the distances I’ve missed since surgery! 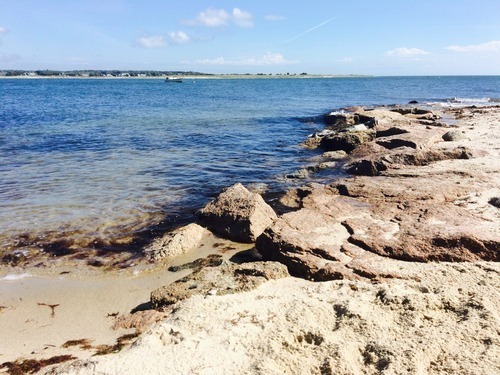 Cape Cod feels so wonderfully different this time of year, when we have all this 70-degree goodness to ourselves! Such peace and quiet. I’m admittedly a little nervous about how much my knee has hurt the rest of today, but right now I can focus first on my upcoming half-marathons. It’s all about building and strengthening, and when it’s time for 26.2 I trust my body will be ready! Where do you find your motivation on the not-so-into-it days? I’m kinda giving social media a lot of credit today!